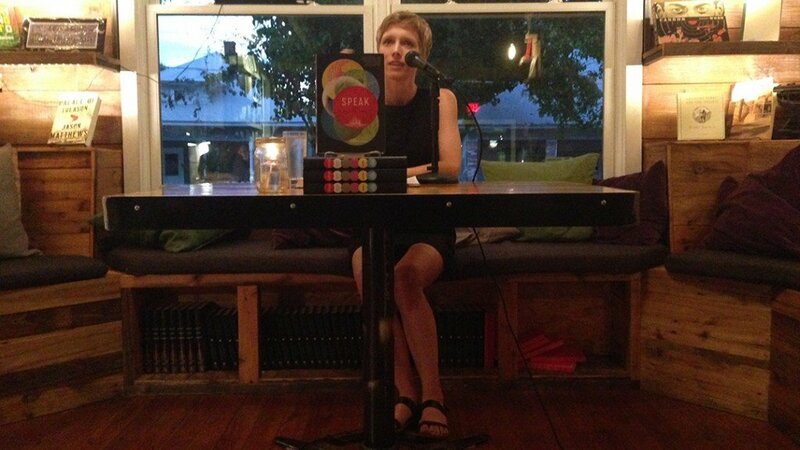 Louisa Hall’s novel Speak shocked us all with its thoughtful and rich exploration of the human need for connection; it left us with certain urge to find out more and ask her about the book. Here is that conversation. Louisa Hall presenting Speak at The WD. September 15, 2015. 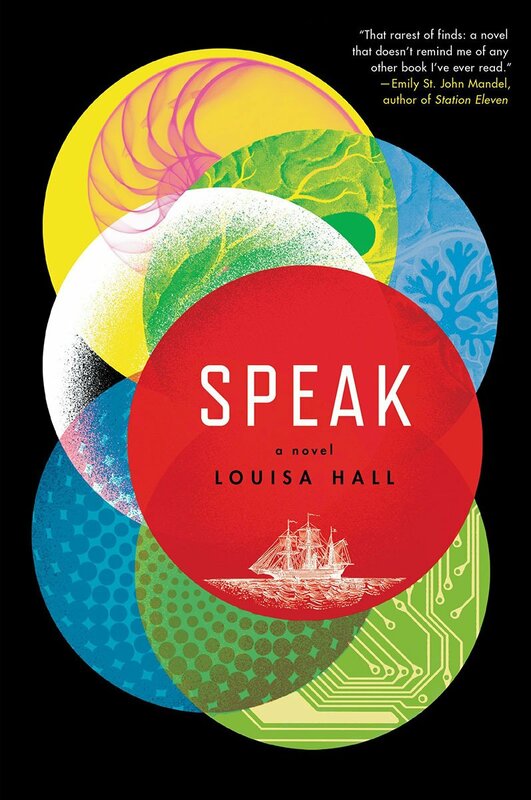 Louisa Hall’s Speak (Ecco, 2015) is a profound and intelligent novel that raises deep philosophical questions from the outskirts of science fiction. The novel poignantly reflects on what it means to be human by exploring the dawn of artificial intelligence through different voices that span over four centuries (and some years into the future). In our ‘Bestest’ of 2015 list, Louisa Hall’s novel has been repeatedly chosen as book of the year by not just some of us but also by some of our collaborators and friends. She was at The Wild Detectives last September presenting the novel and she certainly made us all ponder on our human capacity–or the lack of it–to connect with others. Her insightful answers made that Q&A one of the most interesting we had in the shop last year. We had to talk to her again. The book was so rich that questions and comments were piling up. Following the format that Gaby –a kid– and Mary –a chatbot– speak to each other in the novel, we proposed her to do an interview on an online chat, to which she very kindly agreed. Here is the conversation we had. Hi Louisa, how are you today? Yeah, good. Happy to be chatting here with you. Thanks so much for your time. Of course, I’m really happy to talk. I love The Wild Detectives. Oh, thank you. Much appreciated. It was great to have you here presenting the book. Yeah, that was a fun event! Ok, I’m going to start shooting. One of the most interesting things about your novel is how your exploration of Artificial Intelligence unravels so many insights about the human condition in general and human communication in particular. The idea of how the act of replicating our own brain can say so much about ourselves… that’s very original, a fascinating place to write from. How did you come up with that space for the novel? When I was younger, I wanted to become a psychiatrist. I finished my pre-meds, and took a lot of classes on brain chemistry. I was interested in what models of the brain say about our humanity. In the end, though, I ended up feeling frustrated with that discipline. I wanted to find a more nuanced language–more mystery, less diagnosis–to understand human nature. I turned instead to poetry and fiction. Speak sets the science of artificial intelligence against the science of storytelling, a science we humans have been developing for many, many centuries. It allows the latter–which is the science in which I believe most deeply and profoundly–to inform the former. That’s the eternal tension between humanism and science in a paragraph. Could you tell us a bit more about the conception stage of the novel. What made you want to talk about AI and human communication? As a result of some things I was going through in my own life, I was thinking a lot about failed attempts at communication–two people who are trying to understand one another and failing. And I was thinking a lot about how our attempts to communicate are so often mediated by machines: phones, or computers. We seem to talk to machines as much as we talk to each other. So I started to imagine a group of people trying to communicate with each other and often falling short, often having more intimate conversations with their computers than with their loved ones. Your characters are fascinating, very human and vulnerable. 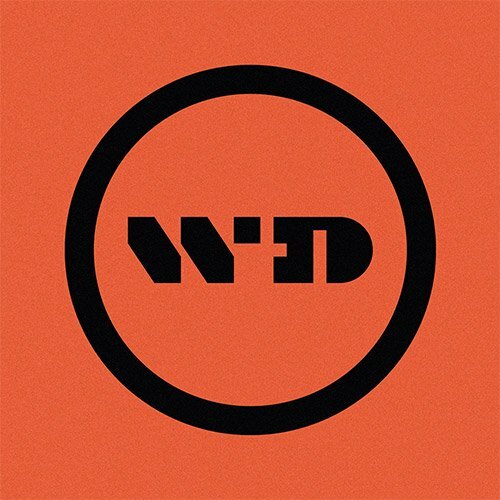 5 timelines and 7 + 1 voices spanning from the 17th century to the near future. The novel is carried completely by those characters. How did the story you wanted to tell shape those characters? Or was the other way around? It was the other way around! The characters shaped the story. I started with five characters and had no idea where they’d end up, how they’d relate to each other, if they’d come to any conclusions. It was a really exciting way of writing a book: each day I was waiting to learn where the characters would end up. It sounds very exciting indeed being all of them distant in time. Apart from Alan Turing, are there any characters inspired by a real historical figure? Karl Deetman’s work–his creation of the first conversational computer program, and the way he ultimately turns against it–is based on that of Joseph Weizenbaum, who created ELIZA. Like MARY1, ELIZA was based on the techniques of a Rogerian therapist. The program would simply turn your statements around and make them into a question. But people were enchanted by her. Weizenbaum tells stories of secretaries in his lab staying up late into the night, talking with ELIZA. He was horrified that they’d so willingly exchange real human conversation for such a limited program. But the other side of that argument is that those women were clearly starved for meaningful conversation. Clearly no one–other than ELIZA–was listening to them when they talked. It’s fascinating. Your novel says so much about our longing for connection. We’ll talk later about that. We find Speak to be a very poetic novel in the way meaning comes from the relation between the different stories. Being a quite philosophical book there are no categorical statements here; it’s the thoughts and reflections of your characters which mingle through the different timelines that creates meaning by association in a very lateral way. You leave a lot of space for the reader to connect the dots, and that fills the reading process with a good amount of very pleasant eureka moments. How did you work with that? How did you build that net of meaning connecting the different stories? That’s a really interesting question. Writing the book, I didn’t want to force any connections between the five (or really seven) different storylines. I didn’t want to create a fictional universe ruled by coincidence. That seems like a slightly tyrannical approach to writing a novel. But I did alternate between the different storylines each day. On a Monday, I’d write Turing; Tuesday, I’d write Gaby; Wednesday, I’d write Karl, and so on. So clearly my brain was steeped in Turing’s concerns when I was writing Gaby. I think of them as seven characters engaged in a long conversation with one another. Sometimes they’re talking at angles, missing each other’s points; other times they’re addressing each other’s concerns. You titled the novel Speak. Speaking, the ability to materialise thoughts and share them with others, plays an almost biological role in the book. Speaking is the giving, it’s what ultimately creates love and the lack of it that destroys it. But what about the listening? The chatbots are loved because they listen –or people feel that they listen–, they ask the right questions so people can explain themselves and feel connected, but it seems a very sad and narcissistic kind of connection. Do we long for connection so badly that we just want to be listened to, and we don’t care about what the other has to say? That’s another really interesting question! I’ve thought a few times that my next book should be called Listen. It could examine all the different kinds of listening, from the recording that MARY3 does to the empathizing that a human can do. One of the parts of the book that felt most hopeful to me was when Ruth is remembering the story her husband told her, and understanding it in a new way. Earlier in the book, it seems like she’s not listening. Later it becomes clear that she was, and that what she heard has had the power, over time, to change her idea of the world. That seems like a good kind of listening to do. We love the idea of a sequel. We’re in. Great! I’m glad you’re on board. Let us quote a line from the book “When we ask questions we know the answers already. We’ve grown accustomed to horizontal communication, flatlining banalities and droning insignificance.” How bad are we communicating with others nowadays? Is technology making things better or worse? I think we’ve always been simultaneously terrible and brilliant at communication. We have our moments of perfection, times when our language crystallizes into something that feels as weighty and substantive as a stone passed from one hand to the next. But we also have moments when we miss each others’ meanings completely. Our job, I think, is to constantly strive for the first kind of language, knowing that it will often elude us. We especially loved the way you explain the seduction equation using the fibonacci sequence as a model for meaningful conversations; each statement is made out of two previous terms pushing empathy and connection forward and expanding them in spirals. This is so ingenious. How did you come up with this idea? When I started writing about the seduction equation, I’d already been writing the novel for some time, and thinking a lot about the effects of a pattern such as the fibonacci sequence, which looks backward in order to move forward. It struck me as a reflective pattern, one that could be educated by its past experience. So I was sort of in love with that pattern, and found myself wondering which aspects of life could be improved by hewing closer to that kind of pattern, and I thought: conversation! I moved from there to seduction. Diaries, letters, online chat, memoirs… Each voice in the book speaks in a different medium. All of them are documents, thoughts frozen in time, words that speak to us over time, memory. In parallel the AI machines you talk about recollect memories, stories –some of them from those documents in the novel– to fill their patterns of thoughts. It seems like storytelling is in a way some form of artificial intelligence, preserved voices that speak to us. Aren’t books a rudimentary form of AI? Yes! I agree with that completely. And not even rudimentary–they’re a magnificent, terrifying form of AI. I truly believe that every good book is a machine that contains, as Milton put it, the “precious life-blood of a master spirit, embalmed and treasured up on purpose to a life beyond life.” As I was writing Speak, I was also finishing a dissertation on seventeenth-century literature, and I was amazed at how often people in the seventeenth-century talk about books in the same way we now talk about AI: as cutting-edge technologies capable of containing human patterns of thought. In the seventeenth-century, books were the frontier of AI. Actually, I take that back. Books are still at the frontier of AI. Good thing we have bookstores like The Wild Detectives to keep us technologically savvy.